Marsha Roddy’s career has spanned over 30 years as an Artist and Designer. Her work explores three-dimensional space, movement, texture and above all how we, as humans, connect and express ourselves. Her enthusiasm and energy have taken her on many adventures. 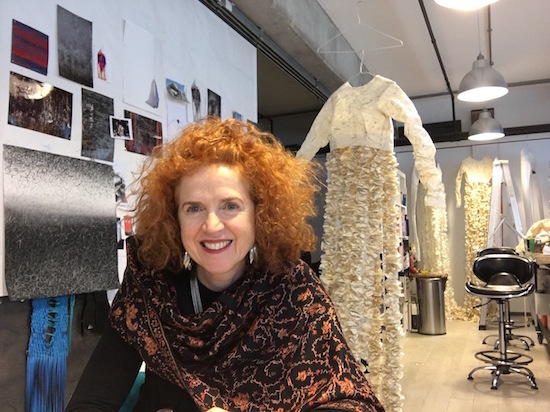 She has designed sets and costumes for the stage, film and television; worked on architectural projects, conceived haute couture for events and created pieces of performance art. Her work has taken her from the UK to Amsterdam, USA, China, Japan and Hong Kong. She has been the production designer on a number of feature as well as independent films including: the award winning, ‘Anchoress’ and ‘73 Virgins’. Marsha believes the journey is as important as the final outcome. Each project no matter how big or small has its own unique demands and requires the same enthusiasm dedication and creative excellence. She is currently working on the project “Unleashed’, following the success of ‘Breathless’ and ‘Life Force’, which continues her explorations of dance and drawing as part of a performance art piece. The work challenges perceptions of fear and prejudice.